Fabric: Manufactured from 55% Polyester, 45% Wool. Machine Washable. 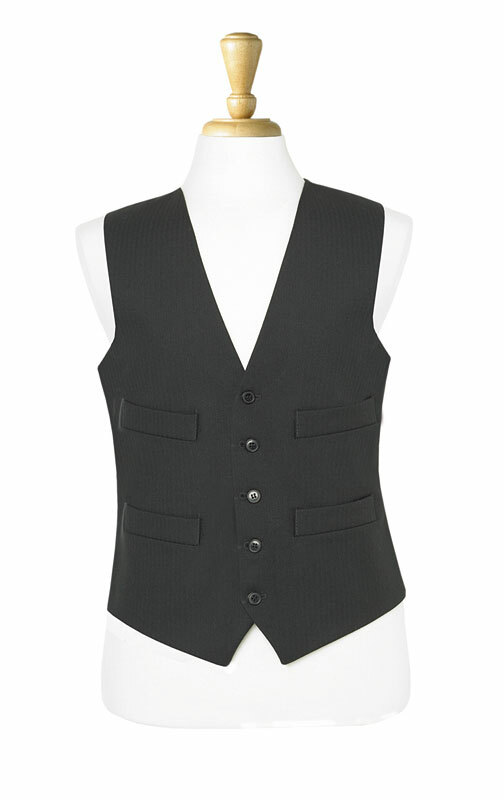 Description: The Mix and Match Waistcoat is available in 3 lengths to suit individual requirments and preferences. The single breast creates a smart and professional look along with the 5 button front for a secure fit. The 4 welt pockets create neat storage. The jacket is machine washable and suits short and long sleeve shirts ensuring a reliable choice.